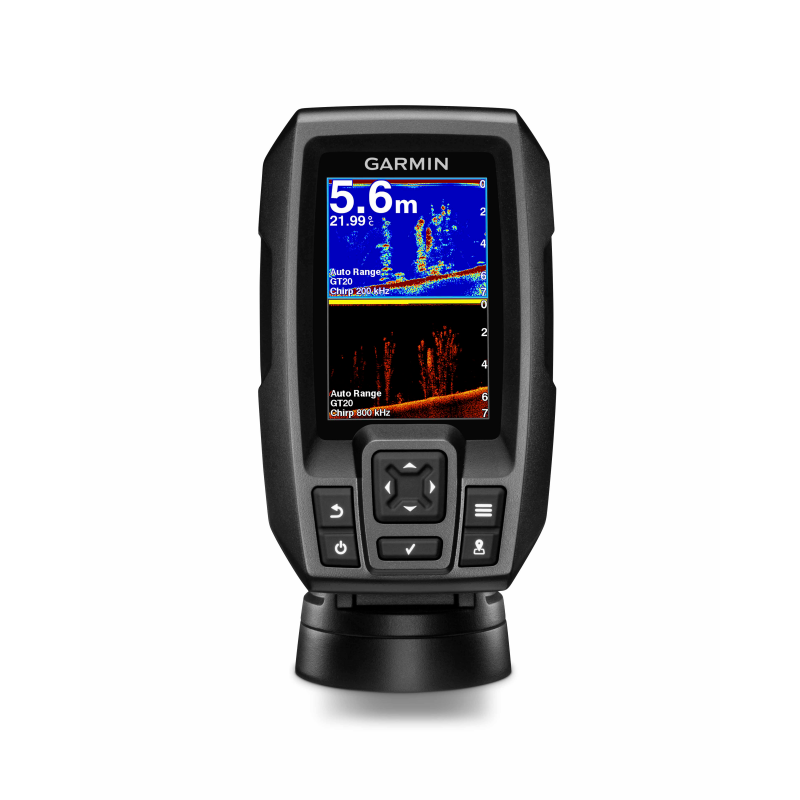 Finding fish is easier than ever with STRIKER 4dv fishfinder. Mark and return to your hot spots, boat ramps and docks. You also can share your favorite waypoints and routes with other STRIKER and echoMAP™ combos. Plus, it has a built-in flasher and displays speed data. Includes tilt/swivel mount, CHIRP (77/200 kHz) sonar transducer with transom and trolling motor mounting hardware and cable. For high-performance CHIRP, purchase a GT22 or GT23 transducer (each sold separately). STRIKER 4dv includes a Garmin CHIRP (77/200 kHz) transducer, which provides a visibly higher level of clarity and detail for fish and structure than traditional 77/200 kHz transducers.